Now featuring a new and improved fit! This split sole lace up jazz tap shoe features genuine full-grain leather, a 3/4" heel, and attached Ultratone taps. 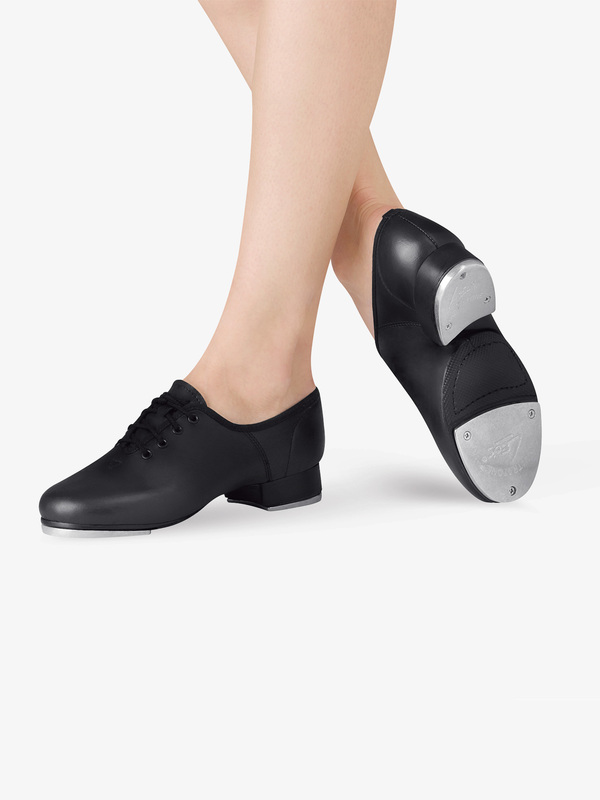 Also features full toe boxing to assist in toe stands and suspended tap movements, and a refined last for a more confident fitting heel and overall improved fit. Suggested Fitting: 1 size larger than street. Wide widths order an additional .5 size larger. I ordered a size 9 and next to an 8.5 tap shoe by bloch it appeared to be a size 7.5. Tiny. Horrible. I have danced for years and owned many dance shoes. I always order one size larger than my street shoe size (6 1/2). Your sizes run very small and I must return the pair I recently ordered. So surprised that the sizing was off. We are using these exact same shoes from local vendors and decided to go through Dance Discount Supply because we love all other dance wear items we get through them. Sadly we are not going to get shoes through Dance Discount. I ordered these on the 19th and they arrived today. Yay for fast shipping but they are very small. I ordered my street size and it looks like I am going to have to go up a size. I hope that the next pair fits.